GameBook is all about enhancing your golf experience. This naturally includes all the 26 different game formats that you can play, our pro-style live scoring and the nearly endless social opportunities. But not only that. We offer our users the chance to compete in different contests and win themselves golf experiences that money can’t buy. In the past these have included world class golf trips to destinations such as the Old Course Hotel in St. Andrews, being a scorer for one of the marquee groups at The Open and experiencing The Ryder Cup as a VIP guest. This season we organised the biggest contest of GameBook’s history in our home country Finland. The contest was called Every Day Challenge and it really lived up to its name. With the contest period lasting throughout the Finnish golf season over 300,000 rounds took part and every single day at least one player won a prize. This meant a total of almost 300 winners. Some received product prizes provided by the 12 partners of the contest while others made their way into the semifinals. And right now 6 winners from these semifinals are on their way to Estoril, Portugal, to enjoy the luxurious final journey of this grand golf tournament. 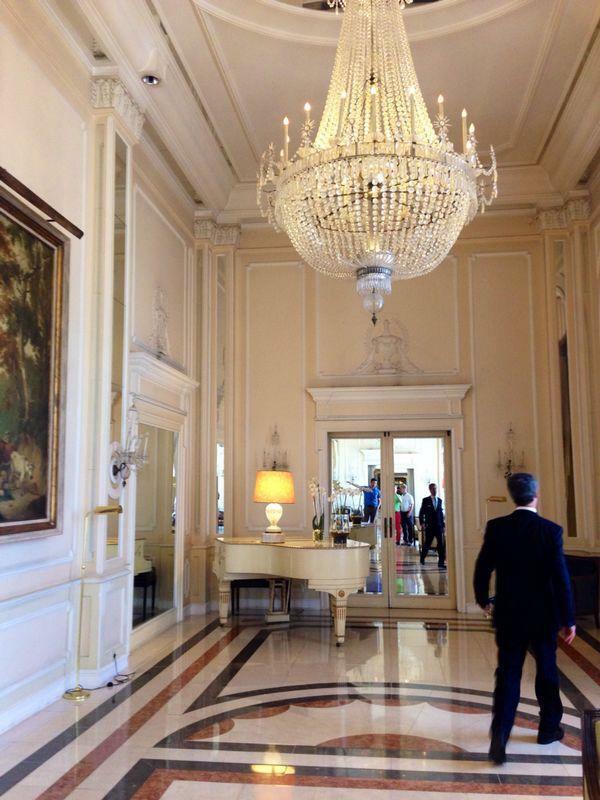 Hotel Palacio Estoril certainly lives up to its fancy name. In each of the three semifinals the winning pair was handed tickets to the final – an exclusive 5-star golf travel experience provided by a Finnish travel agent called Golfresepti Travel. ”Estoril is a high-class destination that suits both the standards of this contest and our aim of organising top-of-the-line golf trips. The finalists will be staying at Palacio Estoril, which is probably the most famous hotel in the country. 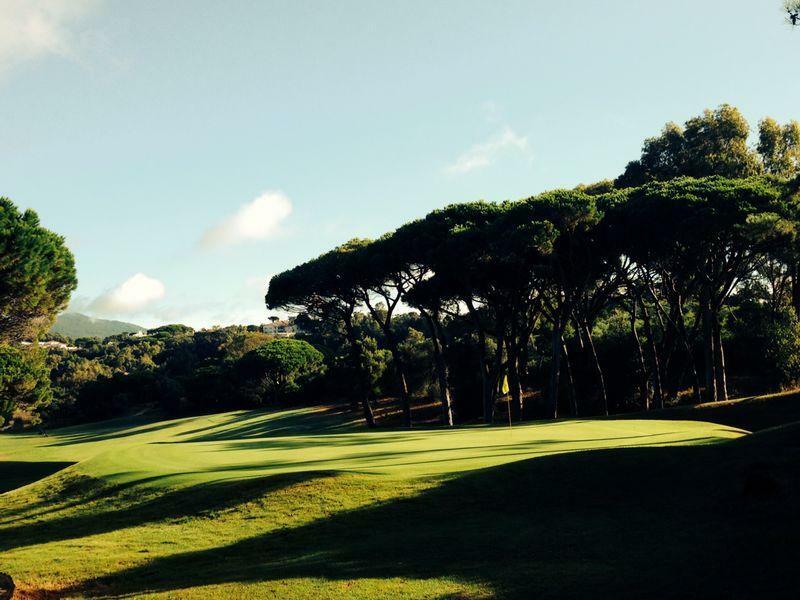 They will be playing on the beautiful courses of Estoril Golf and Belas Golf, and enjoying both the big city lights and the elegant beach life”, describes Markku Nord, CEO of Golfresepti Travel. Not a bad view to have on a golf course. Our Every Day Challenge finalists will be here soon. 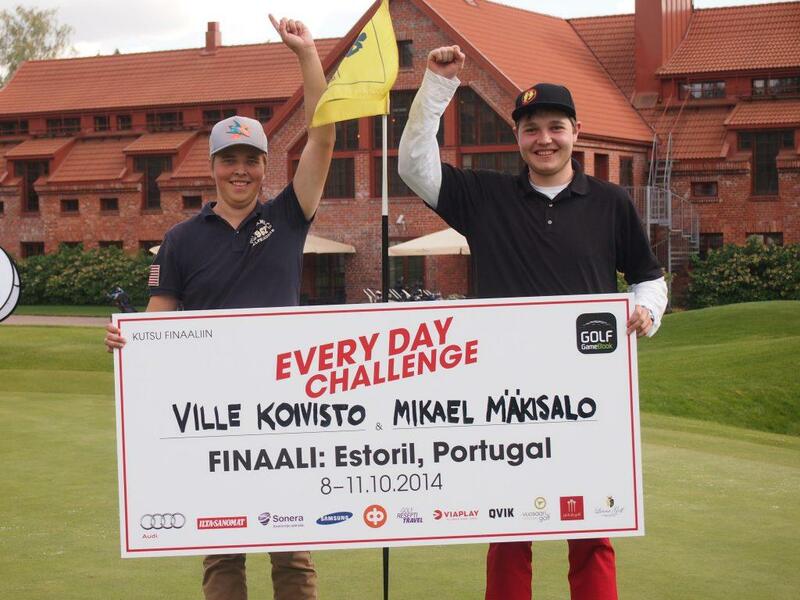 The lucky winning teams of the semifinals travelling to Portugal are Tuukka Mäkinen & Tommi Lammi, Roope Kalajo & Aki Rahunen, and Ville Koivisto & Mikael Mäkisalo. Some of them have played tennis in the Estoril area and some have even experienced golf travels to Portugal before, but before the start of this journey none of them had visited the courses they will be playing in the next couple of days. ”It will be nice to get away for a couple of days, hopefully to a beautiful and sunny weather”, said Ville Koivisto when asked about his expectations for the trip. ”I’m looking forward to playing some great courses and meeting some nice people”, his playing partner Mikael Mäkisalo concluded. These are most probably feelings that the whole group of finalists can relate to. Ville Koivisto and Mikael Mäkisalo after winning the semifinal at Linna Golf. The team here at Golf GameBook is currently working on plotting new contests both internationally and locally in specific countries. There might be something even bigger and better coming up… So keep on using GameBook, or download the app if you haven’t done so yet. And stay tuned for your chance to win some once-in-a-lifetime golf experiences!